Kodaikanal Packages: Situated in the state of Tamil Nadu, the hill station of Kodaikanal is also referred as the “Princess of Hill Stations”. If looking for some break from the mundane life, Kodaikanal tour is the perfect gateway for you to spend few days enjoying a refreshing natural setting with adventurous sports and umpteen numbers of options for sightseeing. At the longitude of 77.5 and latitude of 10.2 in the Palani hill range under the administrative control of Dindigul district, the hill station of Kodaikanal is one of the popular tourist destinations. The hill station caters to all kinds of tourists belonging to different age group and with different range of interest and purposes of visit. From trekking routes to rocks to water falls to trekking routes to temples to museums to caves to parks to lakes, the hill station has more than one option to greet its guests with. For all kinds of vacation one can go for trip to Kodaikanal. From honeymoon to an adventure trip to a religious tour to a family trip, the hill station is unlikely to disappoint its guests. What adds on to the charm of the hill station is the availability of various kinds of comfortable and luxurious accommodation. The place is well connected to the rest of the country making it easier for tourists to reach the destination. The place with pleasant weather is good to visit at nay time of the year. However, it is better to visit from the month of April to June and September to October. The hill station promises a memorable vacation to everyone. However, the vacation can be entirely bad if one of the important things goes wrong. Right kind of accommodation, right mode of transportation, places for sightseeing, places to shop and eat are few of the aspects that makes any tour good or bad. To have a perfect Kodaikanal tour, it is better to plan and everything in place well in advance. The best way to plan your trip is to choose a Kodaikanal package available out in the market. There are umpteen number of kodaikanal packages available from Kodaikanal Planet, a division of Holidays DNA. Tourists can choose one that best suits their requirements and purposes of visit. 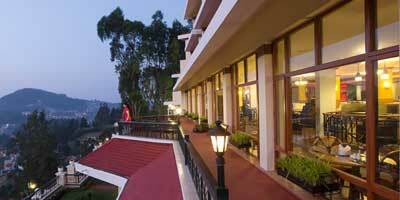 We have many packages for Kodaikanal catering to varying budget limits of the tourists as well. From honeymoon packages to family packages to adventure sports packages, tourist have wide range of Kodaikanal packages to choose from. These Kodaikanal packages take care of accommodation, commuting with in the hill station and to places nearby, travelling and sightseeing, ensuring that your trip is hassle free. If interested, tourists can also get tailored made package suiting their specific needs and preferences. These Kodaikanal packages mostly include few important places for visiting such as Coaker's Walk, Bryant Park, Kodai Lake, Fairy Falls, Kurinji Andavar Temple, Pillar Rocks, Kodai Astrophysical Observatory, Bear Shola Falls, Green Valley View, Silver Cascade as these are most popular tourist attractions. With these packages from Kodaikanal Planet at your services, you can have an enjoyable Kodaikanal vacation without any trouble and in exactly the way you want.